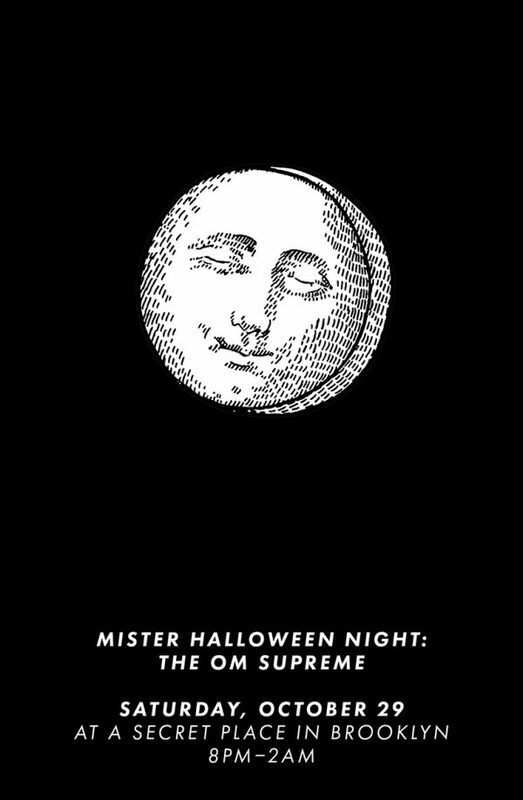 Mister Halloween Night: The Om Supreme, an opportunity for you to don transcendant costumes and wash away all the madness. Our home for the evening is a wood-floored, forty-foot ceilinged studio decked with billowing geometric patterns, a massive disco ball and a sweet, sweet soundsystem. To start the evening, we’ll be playing blissed out listening records. Around 10pm we’ll transition the floor, so you can get lost in the dance. Advance tickets are still important (only people who have tickets will find out the secret location), and costumes are strongly encouraged. The doors of the studio open at 8pm, and the vibe stays strong until 2am. We’re looking forward to seeing you there. ps. We know $45 is a lot of money. We don’t take our pricing lightly. The reason for the high door fee is that production expenses for this venue are particularly high, and security and other staff prices go up for us (and most other people doing parties) on Halloween weekend.